Is smokeless tobacco less harmful than tobacco that is smoked? Can smokeless tobacco help me quit smoking? Can I use smokeless tobacco in places other than DTUAs? No. Like smoked tobacco (think cigarettes, cigars, hookah, pipes), smokeless tobacco (think dip, chew, snuff) can stain your teeth, cause bad breath and make your teeth fall out. Smokeless tobacco also puts you at risk for many of the same heart conditions and cancers as smoking tobacco. Quitting tobacco can improve your physical fitness and readiness, get started on your own quit journey today. If you use smokeless tobacco to quit smoking, there’s a good chance that you will be switching from one very dangerous addiction to another. Smokeless tobacco is harmful and puts you at risk for many of the same heart conditions and cancers as smoking. It can also increase your risk for oral health issues like tooth decay and mouth cancer. Look through our Tobacco Cessation Resources Guide [PDF 911KB] to find a program that can help you kick the habit for good. You should also talk with your provider about medications that can help during your quit. No. You can only use smokeless tobacco in designated tobacco use areas (DTUAs). 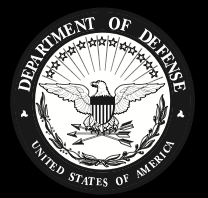 In the Department of Defense (DoD), the rules for smokeless tobacco use are the same as for cigarettes, e-cigarettes and any other tobacco product. You can only use tobacco products (including smokeless tobacco) in DTUAs. Find out how smoking tobacco can affect you and those around you. Find out what you need to quit and stay quit. Curious about e-cigarettes, including JUUL? You’ve come to the right place.